Spotify Technology S.A. (NYSE: SPOT)on Thursday announced financial results for the third fiscal quarter in line with analysts’ estimates. The music streaming service said total revenue rose 31% to 1.352 Billion euros (USD 1.54 Billion) in the quarter ended September 30, 2018. Analysts polled by Thomson Reuters had projected revenue of 1.33 Billion euros. Premium revenue rose 31% to 1.21 Billion euros. Ad-Supported revenue rose 30% to 142 Million Euros. Premium subscribers rose 40% year-over-year to 87 Million in the third quarter, driven by growth in its Family and Student plan. Gross margin was 25.3% in the third quarter, up from 22.3% in the same period a year earlier. For the fourth quarter, the Company expected total monthly active users to rose 24%-29% to 199-206 million. Total premium subscriber is expected to be in range of 93 and 96 million. Total revenue is estimated to be in range of 1.35 billion euros to 1.55 billion euros. 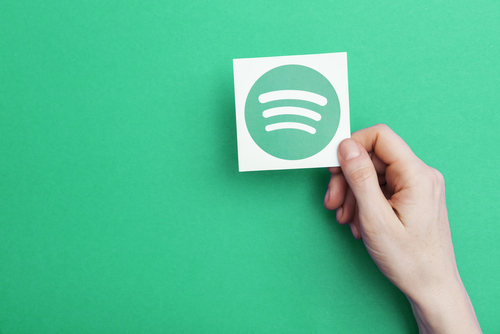 Spotify share fell 6.41% to USD 140 per share during the trading session on Thursday.